Stefano d’Amico was born in Rome, where he completed his studies and obtained his High School Diploma with specialisation in Classics at the Jesuit Institute Massimiliano Massimo. He obtained his degree in Law at La Sapienza University, under Professors Hon. 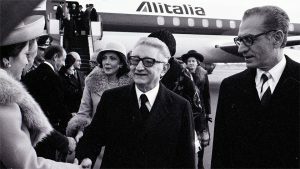 Aldo Moro and Federico Caffè, full professors of Law and Criminal Procedures, Economics and Finance. Later, he worked as University Assistant of Professors Di Mattei e Cotta (History of Political Doctrines and Philosophy of Law). From 1969 to 1972 he was partner of a major advertising agency with clients in large industry and state-owned companies. Tehran. The Shah of Persia and the Empress Farah Diba Pahlavi welcome the President of the Italian Republic Leone and his wife Donna Vittoria. From 1973 to 1978, under the Moro and Andreotti Governments, he worked as a contractor for the Minister of State Shareholdings (Hon. Antonio Bisaglia) and Manager of External Relationships and EGAM (Ente Gestione Aziende Minerarie e Metallurgiche del Ministero Partecipazioni Statali) Institutional Relationships. Between 1978 and 1994 he was a member of the board for the Management of International Relationships, Government and Institutions for Iri, Eni, Agip, and Enidata. 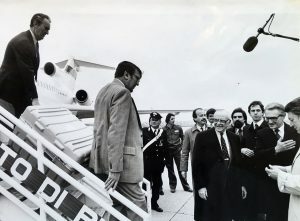 During his long years of work carrying out official government assignments, he participated to unique events such as the celebrations in Tehran for the 2500th anniversary of the monarchy, the presentation of Leonardo Da Vinci’s Leicester-Hammer Code in Florence in 1983, and the OPEC Conference in Rome in 1984. In 1990, he organized the International Conference of the Sea of Naples, which marked the beginning of the conferences of Mediterranean Countries, still current. Between 1995 and 2001, he held the position of International Relationship Consultant for Italimprese, Lederle Cyanamid, Raggio di Sole, IFI, Mochi Yact, Italagro and Gruppo Alimentare Rendo. Constant travels and long business stays throughout Europe, the USSR, Turkey, Iran, Iraq, Saudi Arabia, Emirates, Africa, Brazil, US and Canada formed his knowledge of politics, history and economics which contributed to his personal and professional training. A car and engine enthusiast, he raced as a gentleman driver on board Alfa Romeo, Porsche, BMW, Toyota cars participating to numerous Speed Championships. He is a well-known and experienced expert of the Italian Alfa Romeo brand and its history, with extensive expertise in vintage Alfa Romeo cars. 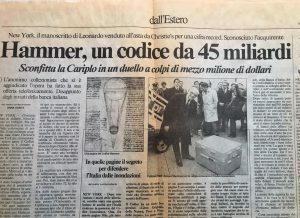 In 1981, he became Vice President of Riar (Registro Italiano Alfa Romeo) until 1983, when he was elected Chairman, holding his position until 2017. Over the years, he brought the Club to a completely unique tradition of excellence, helping to spread it in terms of culture, passion and knowledge. He participated in the institutional recognition of the Registro Italiano Alfa Romeo, cooperating in drawing-up the law that establishes its authority over the certifications of approval and authenticity issued by Riar. 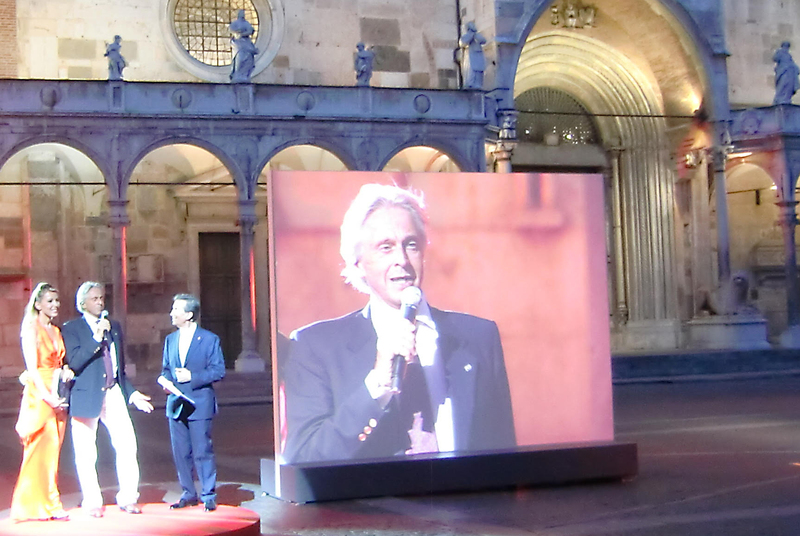 Among the many events in every part of the world he organised, noteworthy are – from 2000 to 2005 – the Trofeo Giulietta, to which he also participated as a driver. He promoted and entered into major agreements for the Riar, including the Riar-ACI agreement in 2017. On behalf of Mr. Sergio Marchionne (FCA CEO) and Eng. Harald Wester (CEO of Alfa Romeo and Maserati) he contributed to the restoration of the Alfa Romeo Historical Museum in Arese. His role as Director of CSAI (Commissione Sportiva Automobilistica Italiana) from 1984 to 1986, Vice President of ASI (Automotoclub Storico Italiano) from 1987 to 1990, and representative of ACI (Automobile Club d’Italia) in FIA (Fédération Internationale Automobile) from 1998 to 2000 all contributed to expand his knowledge and experience in the field. Married and father to three children, he started the production of an excellent Tuscan oil … exclusively for friends. “Un Monumento per uno Stile” Il Cigno Galileo Galilei Publishing. Promoter of numerous articles and publications on the history of motor-sports in Italy.